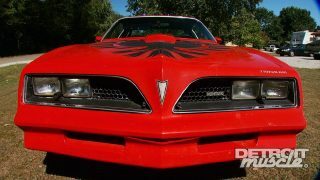 How-to restore cracked fiberglass body panels, customize fender scoops and remove decals without paint damage. 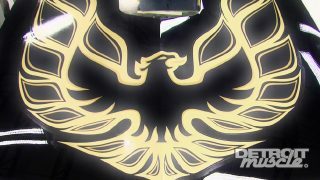 Guest builder Chris Ryan coats our Tribute Trans Am with ebony paint, then the guys apply the massive gold bird decal. How-to soundproof and refurbish a worn-out interior. 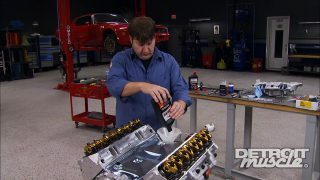 Plus the guys show how to make a shaker hood. 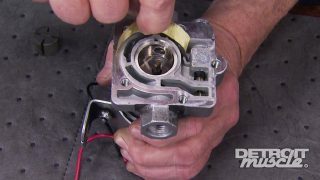 Big inch Pontiac TA gets tuned on the chassis dyno and how to dial in your alignment without going to a shop. 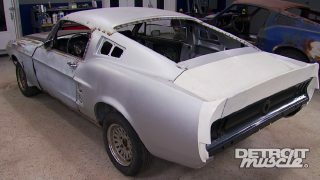 Mustang guru Alan Shepley and the guys perform major cosmetic surgery converting a stock '67 coupe into an iconic fastback. 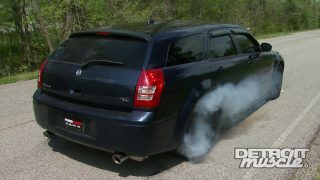 The guys supercharge and upgrade exhaust turning a plain Jane Dodge Magnum wagon into a stealthy street fighter. 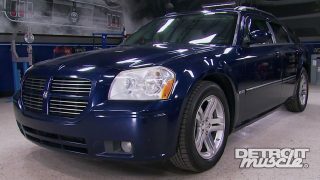 We lower our Dodge wagon, shave its roof rack, install a fresh air hood and apply an accent paint job. 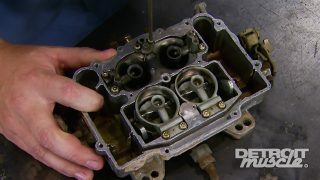 Money Saving How-To: rebuilding fuel, water and oil pumps for more muscle car performance and reliability. 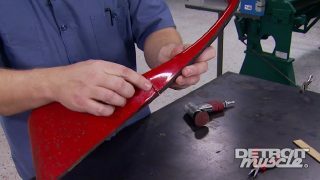 Tech secrets, tips and techniques on how-to restore, repair, and replace automotive glass. Team kicks off a new resto-mod project with a rare, but rusted Mopar that gets a rotisserie ride to the blaster. Team salvages rotted out '70 Challenger with how-to weld in a new metal roof, drip rails and A-pillars. 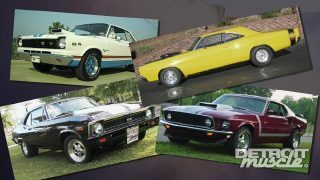 Chassis guru Jeff Schwartz brings in his G-Machine chassis to convert uni-body Challenger to a full frame. 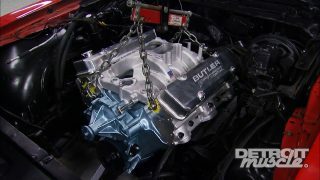 Final Mopar sheet metal tech - how to weld in a new trunk pan and fabricate a front cowl panel from scratch.